It's Almost Polar Bear Season! It’s Almost Polar Bear Season! Last fall I had the joy of seeing polar bears in the wild for the first time, and I was enchanted. 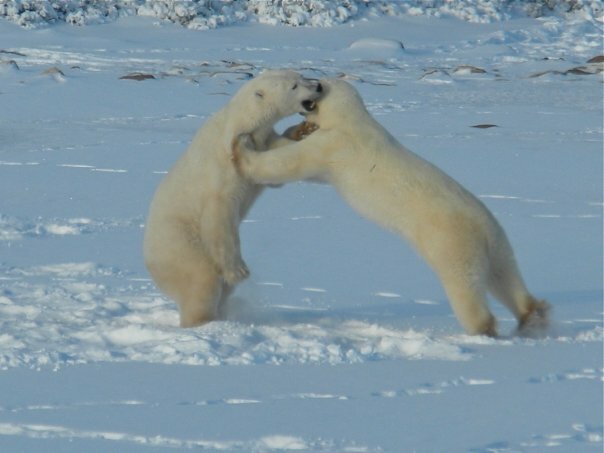 I’m no professional photographer, and I didn’t even have a good camera, but it’s hard not to get great photos of polar bears when they are as close — and as entertaining — as these two sparring young males were. I’m watching my dog romp with a companion in the backyard as I write this, and it strikes me that young animals are pretty much the same across species — they like to have fun! These two big bears are certainly doing that, and I sure did as I watched them with sheer delight. When you travel to see wild polar bears, you actually support conservation efforts to protect them. 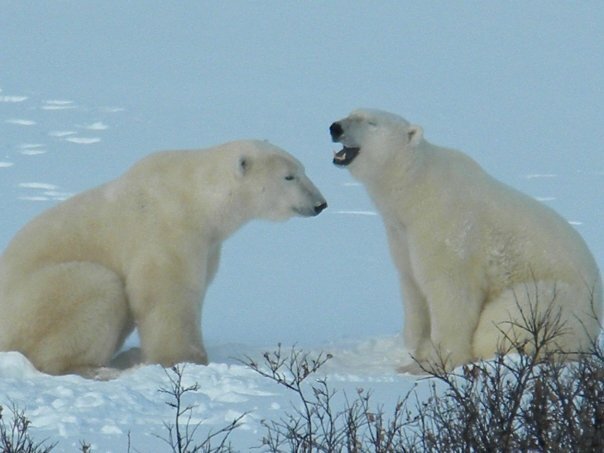 Read more about polar bear ecotourism at Polar Bears International. 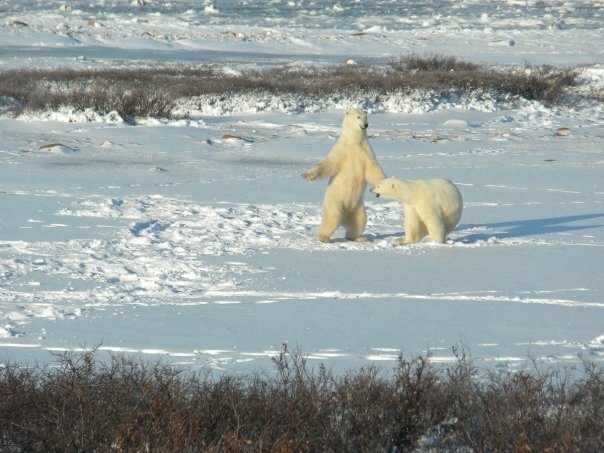 And check out Nat Hab’s complete slate of Fall 2010 polar bear adventures here.